Hans Ji Maharaj's original name was "Hans Ram Singh". His Father's name was Shri Ranjit Singh Rawat and Mother's name was Shrimati Kalindi Devi. Hans Ji Maharaj had siddhis from childhood. He used to get the audience of God and see the divine light and hear divine sound during his childhood. He had four sons but his two sons namely Satpal Singh Rawat also known as Bal Yogeshwar ji and Prem Pal Singh Rawat have carried the tradition of Hans ji Maharaj forwards. The books of Hans ji Maharaj reveal that he considered Vishnu ji as God. Hans ji Maharaj admonished the recitation of "Hans" mantra. This mantra is nowhere mentioned in Shrimad Bhagavad Gita or the Vedas. Moreover Hans ji Maharaj also did forced meditation (कठोर तप) which has been prohibited in Shrimad Bhagavad Gita. The biography of Hans ji Maharaj reveals that in 1963 Hans ji Maharaj fell ill and then was possessed by ghosts. Finally an exorcist was called who suggested a remedy to ward off the evil. The video below gives account of that incident. This episode proves that the worship done and advised by Hans ji Maharaj was useless and arbitrary as it could not save him from getting infested by a ghost. The same worship and naam is prevalent in the paths being run by his sons Satpal ji Maharaj and Prem Rawat Maharaj. 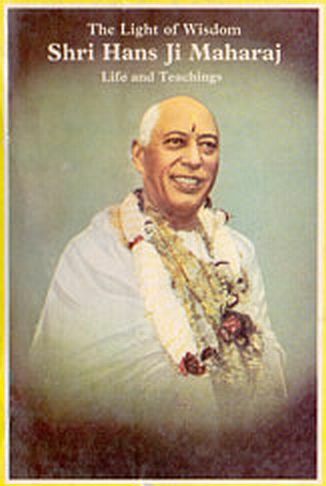 As a result no salvation can be attainted by following the path suggested by the Gurus of Hans ji Maharaj lineage.